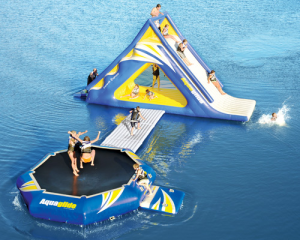 Check out Club Rec’s selection of water toys! Whether it be Summer, Spring, Fall, or Winter, Club Rec offers many options for you and your family. For all you water lovers, check out our boat rentals. From your high end wakeboard & ski boat to your family style pontoon boat or your three person fishing boats. They also rent personal watercraft: jet skis, wave runners or SeaDoos. All of the PWC’s hold three people and have the ability to tow a towable device behind them. If you don’t want a motorized vehicle Club Ruck offers kayaks, canoes, pedal boats, water trampolines, and more! If you would like to head out into our beautiful mountains in Northern Utah, we offer ATV, Motorcycle and Side by Side/UTV rentals. Learn More About Club Rec! 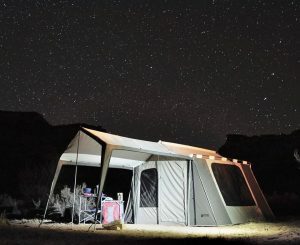 The Canvas Cabin Tent from Utah Camping Co.
From trailer and canvas tent campsite delivery to camping gear packages and individual gear rentals, we’ve crafted experiences that let you enjoy all the best things about camping, effortlessly. When you rent with UCC, you get to spend your time with family and friends in the places you love knowing you have everything you need.